A newly published research study from the UNC Lineberger Comprehensive Cancer Center describes how the absence of the protein NLRP12 significantly increases susceptibility to colitis-associated colon cancer in pre-clinical models. CHAPEL HILL, North Carolina – A family of proteins is yielding new information about how it contributes to the development of gastrointestinal disease and cancer. A team of UNC scientists reports that in pre-clinical models, the absence of a protein called NLRP12 significantly increases susceptibility to colitis-associated colon cancer. The NLR family of proteins is very complex and scientists have determined that the majority of them act as activators of inflammation. However, scientists at UNC and elsewhere have recently reported that one NLR protein, NLRP12, actually functions to reduce disease by inhibiting a major inflammatory pathway mediated by a protein called NF-Kappa B. NF-Kappa B activation has been long associated with inflammation and cancer promotion. But NF-Kappa B has an alternate signaling pathway that is not as well understood. This alternative pathway was the focus of the UNC team’s study. Their study was published in the April 12, 2012 online issue of the journal Immunity. 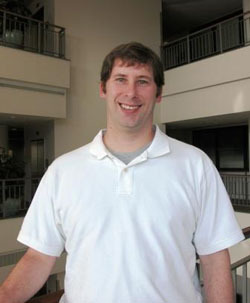 Allen is a research associate in the laboratory of Jenny Ting, PhD. Ting, UNC Alumni Distinguished Professor of Microbiology and Immunology and director of the Inflammation Center at UNC, is a pioneer in the understanding of the NLR family of proteins. She is co-leader of UNC Lineberger’s immunology program and senior author of the Immunity paper. There are over 24 distinct NLR proteins in humans and only about half are well characterized. Allen says the next steps are to better define the contribution of these proteins to human diseases and identify other NLR proteins that may influence important cell signaling pathways in novel ways, such as those described here for NF-Kappa B. Other UNC authors are: Justin Wilson, PhD, Monika Schneider, PhD, John D. Lich, PhD, Reid A. Roberts, MD/PhD graduate student, Janelle C. Arthur, PhD, Rita-Marie T. Woodford, PhD graduate student, Bekley K. Davis, PhD, Joshua M. Uronis, PhD, Hans Herfarth, MD, Christian Jobin, PhD, Arlin Rogers, DVM, PhD, and Jenny P-Y Ting. Funding for the study was provided by grants from the National Institutes of Health. Be the first to comment on "Protein NLRP12 Protects Against Colon Cancer"